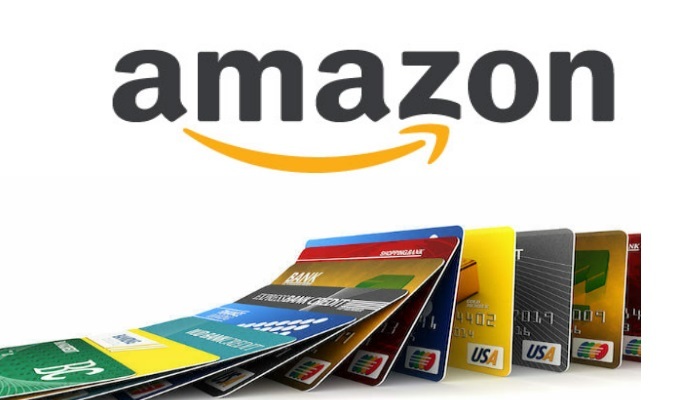 Amazon offers cashback and discount on credit cards of leading banks throughout the year. You can avail Amazon Credit card offers on smartphones, appliances, fashion, and groceries. While Amazon keeps coming with regular discounts for all users with discounts going all the way up to 80 per cent. The online retailer also comes with additional savings in the shape of credit and debit card offers. You can find regular discounts on leading band credit cards throughout the year. For instance, you get an additional 10% off on ICICI bank Credit/debit cards during the Super value days sale start of every month from 1st to 7th. Also, check Amazon Pay balance offers for cashback on load money, mobile recharge, bill payments, and online shopping. With Amazon, you get cashback offers on credit and debit cards of leading banks in India. The credit card offers, help you save on different categories including fashion, mobiles, home appliances, and groceries. You can find special bank offers all throughout the year but during festive sales, you are assured to get amazing discounts on credit cards. It all depends on the collaboration for a particular sale. Get up to Rs. 500 cashback with ICICI Bank Credit card in Amazon Super Value Day offer. Amazon offers 15% cashback on ICICI Bank Credit/Debit card or internet banking. Amazon ICICI Bank offer is applicable on minimum purchase of Rs. 1500. The Super value day sale is held for the first 7 days of every month. The cashback is provided as Amazon Pay balance to customers. In its latest edition of Super Value Day Sale Amazon offered a 15% instant discount to SBI Credit card users. Amazon SBI offer is applicable on minimum purchase of Rs. 1,500. The maximum cashback per user with SBI offer on Amazon is Rs. 600. Grab 10% additional cash back with Amazon HDFC offer 2019. Applicable on HDFC bank debit and Credit card on a minimum order of Rs. 5,000. Maximum cash back per order is Rs. 1,500. Amazon HDFC discount offer is applicable for the website as well as mobile app users. However, the minimum transaction amount can vary from time to time. 10% cash back on Yes Bank Debit and Credit cards on Amazon Fashion category. The minimum transaction amount is Rs. 1,000. The maximum cash back per card is Rs. 500. Amazon Yes Bank offer is applicable on fashion category. The entire amount needs to be paid from your card. Note: Amazon and ICICI bank have partnered to bring a credit card. Amazon Pay ICICI Card is available for select users of Amazon. Amazon offers 10% cashback on RuPay card transactions. Maximum cashback of Rs. 100. Applicable once per user. The offer is valid for first time user. The maximum cashback for existing users is Rs. 25. The cashback will be credited as Amazon Pay balance within 10 days of the transaction. No minimum transaction to avail Amazon Rupay card cashback offer. Up to Rs. 100 for first time user. Up to Rs. 25 cashback for all users. The online retailer recently introduced a new method for seamless payments. Amazon Pay UPI has been made available for app users. Get 25% cashback with Amazon Pay UPI offer. The user has to link a bank account on the Amazon mobile app to start using this brand new mode of payment. Amazon Pay and ICICI bank have launched a co-branded credit card that offers extra reward points. The good thing is that there is no joining or annual fee for the credit card. Also, there is no limit to the earnings from this card. The reward points can be redeemed on Amazon.in and 100+ partner sites. In addition to the amazing credit card offers on Amazon, you also get discounts on debit cards as well. Lately, Amazon has started to offer Debit card EMI as well for select bank users. Amazon Debit Card EMI is applicable for HDFC, ICICI, and Axis bank users. Recently, the company also came with a co-branded credit card in partnership with ICICI bank.